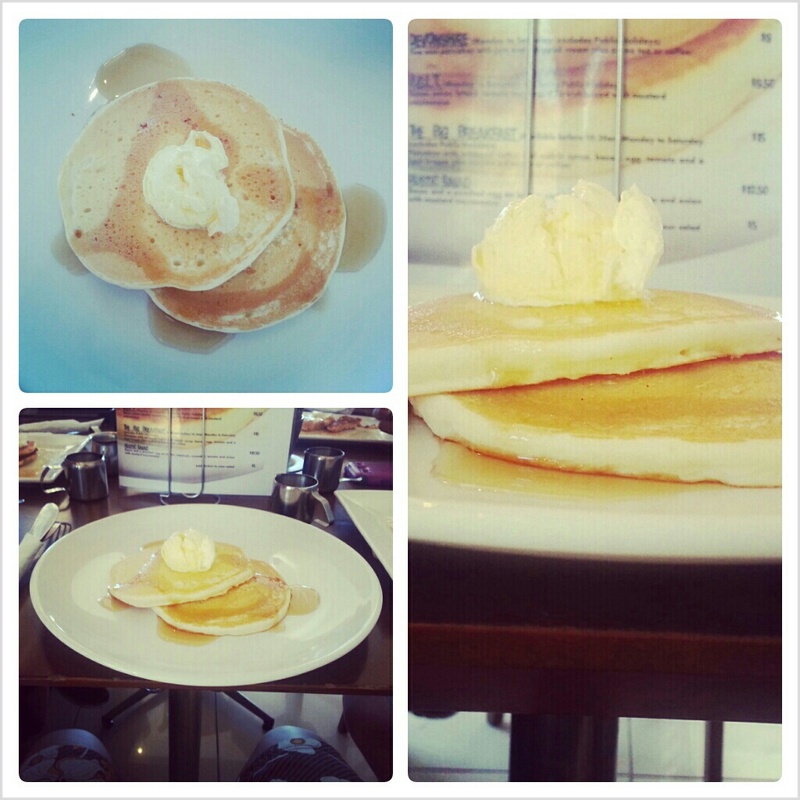 Pancakes at the Port (review) | DO NOT feed the back packer! So we were wondering around port Adelaide after going for a 2 hour dolphin cruise and by this time we were hungry. I said my usual “I’ll be fine until later, you guys go where you want” when I found out that they were going for pancakes. In the back of my mind I’d decided that I’d sit it out as usual and just chill. It wasn’t until my Aunty looked at the menu and loudly informed me that they provide gluten free pancakes for a surcharge of $2.50. So I ordered a gluten free short stack for $7 plus surcharge…then sat and waited impatiently. The restaurant is pretty small yet well laid out to fit plenty of people inside and out onto the waterfront which is always a nice backdrop to any meal. The walls have art (that I presume is from local artists) for sale and it really is nice to look at. The staff are an eclectic blend but are friendly and helpful. The rest of our party had a range of different toppings and the restaurant really does offer a wide variety, theirs came out before mine and they had to start eating to prevent them getting cold. Ordinarily that would have annoyed me, but just knowing that my gluten free pancakes had been done separately from the rest and reduced the contamination risk made me a very happy girl. Truth be told I’d never had real pancakes like this with maple syrup so I had nothing to compare them with I just know that with a knob of whipped butter … they were to die for! I need more! I did struggle to find a website and online menu for the restaurant but I will keep trying. You can find the location of this hotel on the map on my Gluten Free World page, as well as other eateries.